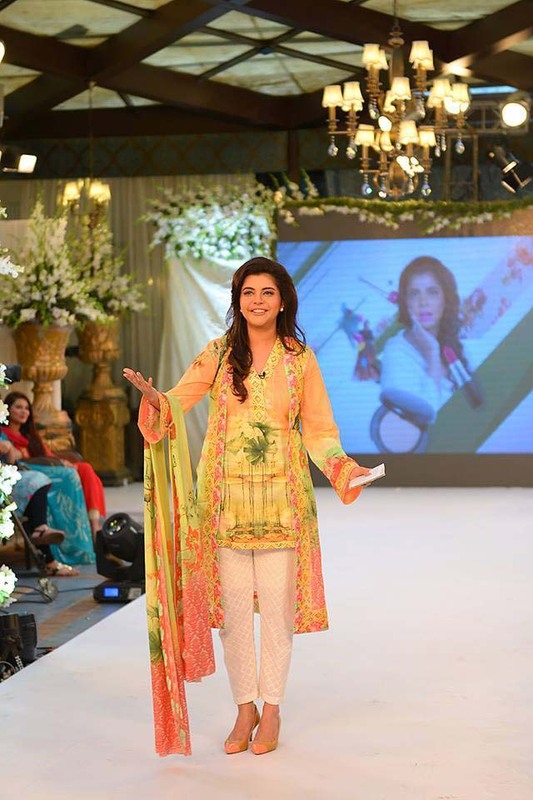 Pareesa is one of the most renowned and popular brand of Pakistan, launched by country’s top biggest chain “Chen one”. It is broadened its activities to convey the boundaries of high lifestyle. 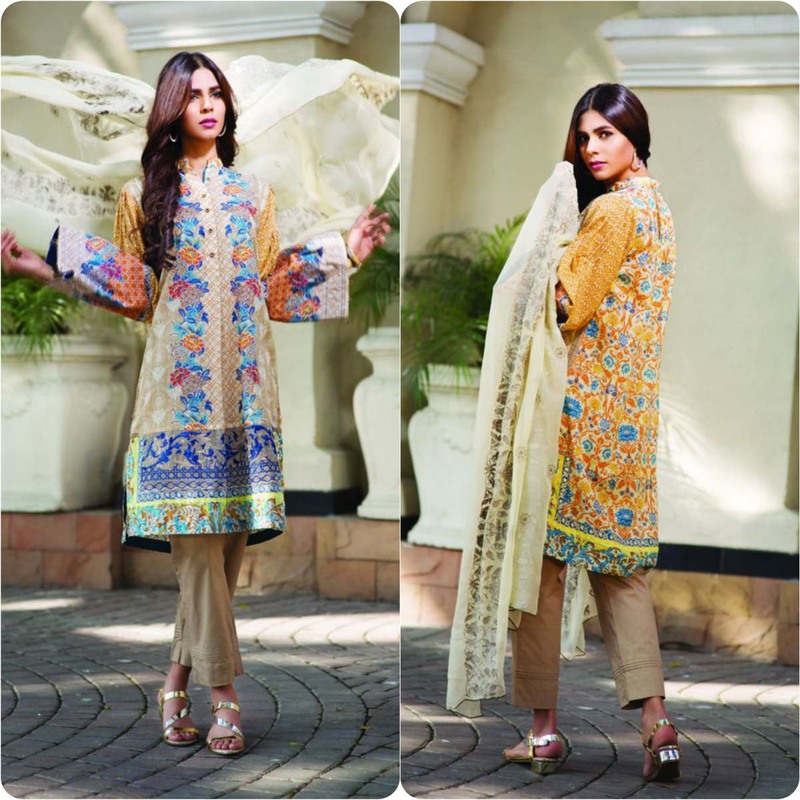 It is very famous brand of Pakistan and ever designed colorful and unique prints for spring season. They have besets nice name in field of fashion and glamour. It is serving its beloved customers with high quality fabric and blooming prints every year. Pareesa lawn was supported in 2009 by Chenone. 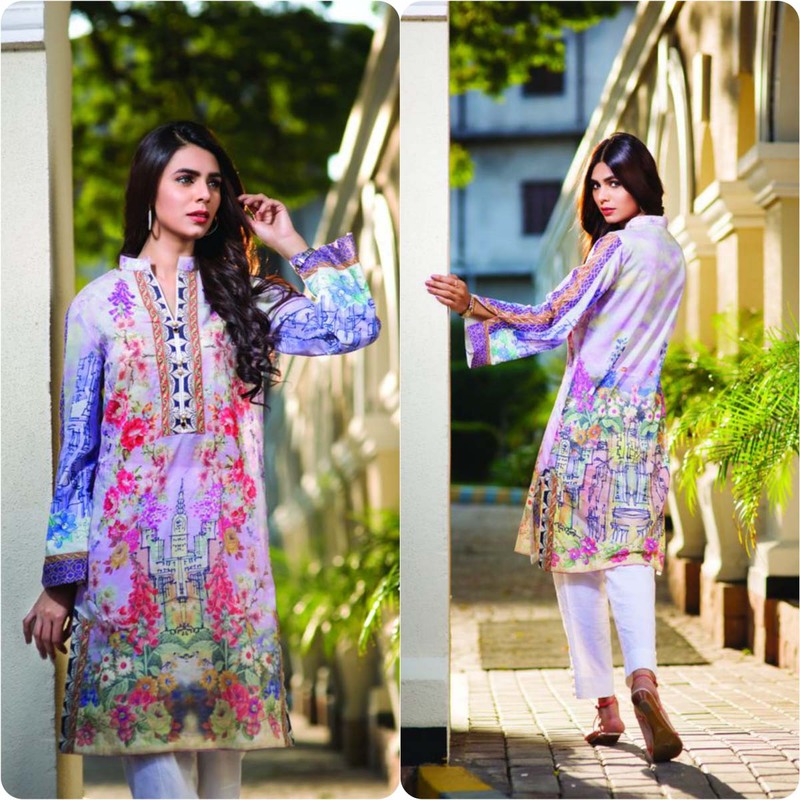 This year brand has launched Pareesa By Chen One Spring Summer Lawn Collection 2016-2017, that are available at all its retail stores. Pareesa wants to make life more excessive life experience for its clients not only in the form of items and products but also in the form of shopping. This brand spurt its business with environmental and business principles with continued process launches its collection for every event, season and occasion. It is sophisticated, the prime and magical combo of the feminine. The most attractive characteristics of this label are that they clearly understand the requirements of each girl and women. 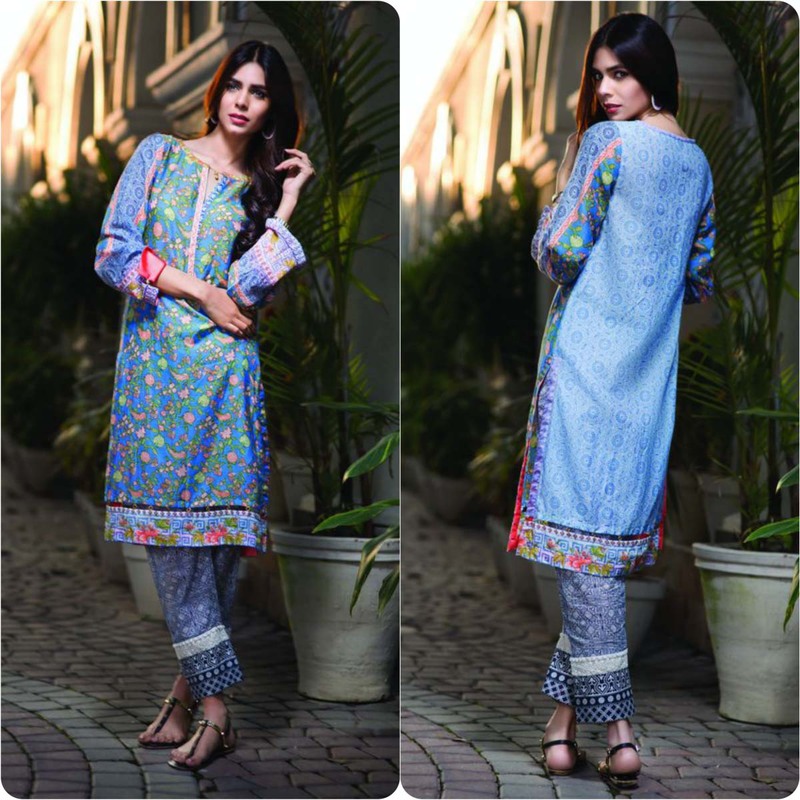 Now this season they have launched summer lawn collection in fantastic prints with economical prices. A great benefit of this label is that you people don’t have to waste time to go every brand store of Chenone, now just directly go to preesay lawn retail store and make your desires complete. They deal with formal wear, casual, pret a porter, ready to wear, casual wear and party wear dresses for girls and women. In this modern ere, every women especially young generation wants to wear western dresses prints and designs. With the advancement of days, its elegance and uniqueness remains Pareesa’s strength and makes it more demanding summer passion. This brand now presented this year red, green, yellow, pink, parrot, purple, peach, beige, mustard and blue. 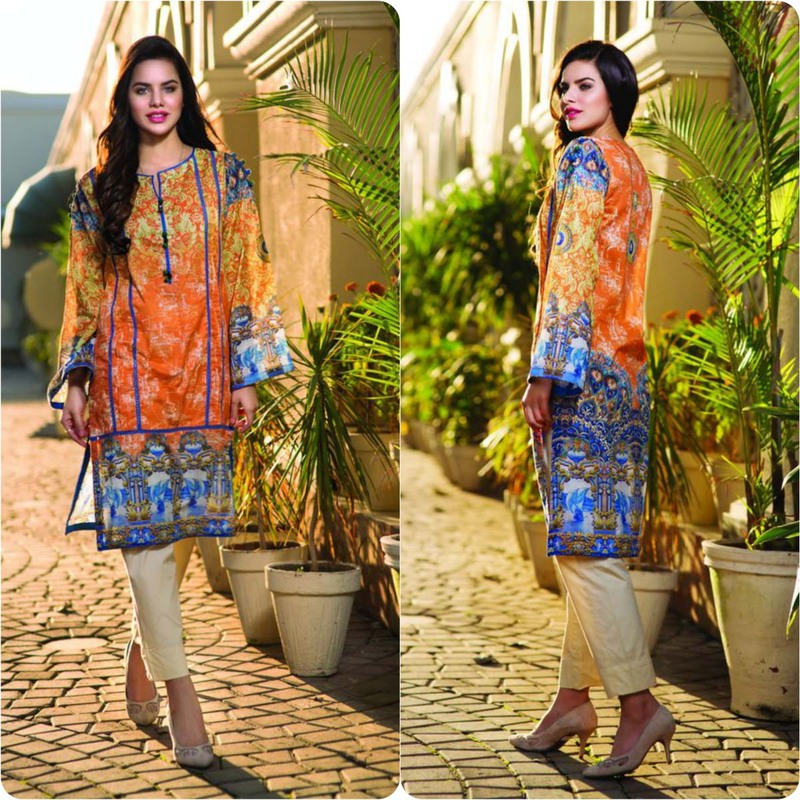 Medium length shirts, tunics with cigarette pants, trousers and dupattas in chiffon and lawn prints with elegant and decent styles that are very trendy. These dresses are best for party wear and gatherings and also perfect for casual routine. It always comes with decent splash of colors. So come here and select the best that makes your look more gorgeous. Price range of this assortment is PKR RS 2,299/- to PKR RS 6,999/-. 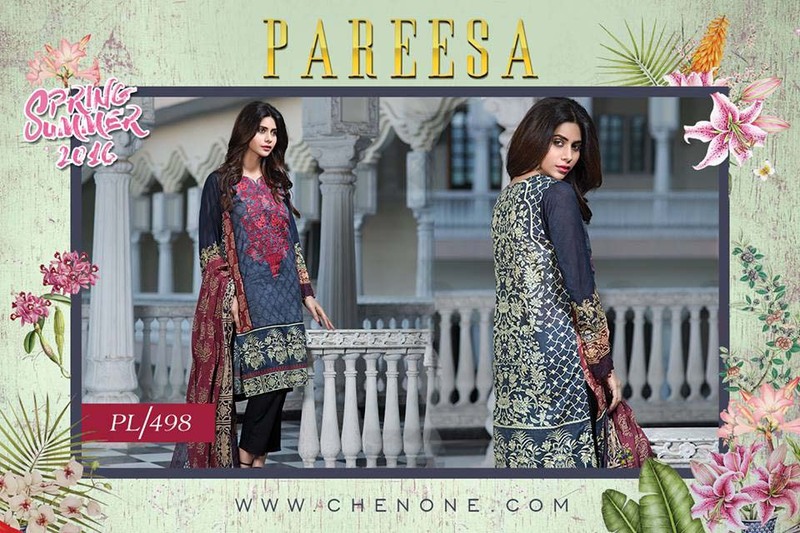 Pareesa lawn is eminent brand by chen one, which only produce spring summer dresses for girls and women of all ages. Now they have launched new collection 2016.